It’s time for our 2017 Week Two AFC Review. 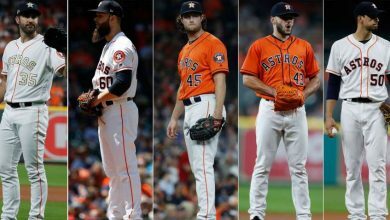 What has become obvious is that a majority of the teams in the North and West have gotten off to great starts. Of the eight teams in those two divisions, five are 2-0. However, of the five teams in the AFC that have gone 0-2, three are in the North and West. The fact is for the franchises in those two divisions, the first two weeks come down to being either feast of famine. 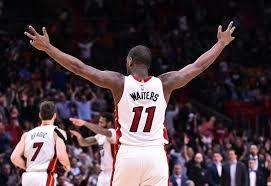 When 1t comes to the East and South a majority of those team, five of eight, are 1-1. Two teams are 0-2 and the other club, Miami, is 1-0, having played just one game due to the hurricane. Miami Dolphins (1-0)– Played their first game of the season, beating the Chargers 19-17 in LA. 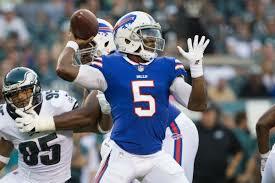 Buffalo Bills (1-1)- The Bills lost in a game that offered close to no offense. The final was Buffalo 3 and Carolina 9. New England Patriots (1-1)- The Pats went to New Orleans and Brady out-gunned Brees, tossing three TD passes in a 36-20 win. New York Jets (0-2)- Jets score 20 but Oakland puts 45 points on the board. Pittsburgh Steelers (2-0)- Steelers easily handle Bradford-less Vikings 26-9. Baltimore Ravens (2-0)- Ravens beat up Browns 24-10 by forcing five TOs. 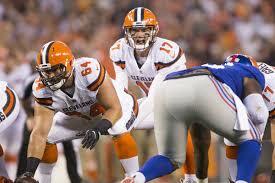 Cleveland Browns (0-2)- Browns continue to struggle. Cincinnati Bengals (0-2)- Cincinnati has not yet scored a TD, lose to Texans 13-9. Tennessee Titans (1-1)- Titans take down Jags 37-16. 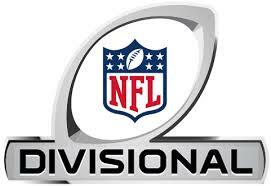 Jacksonville Jaguars (1-1)- Jags humiliated Texans last week 29-7, Tennessee returns the favor this week. Houston Texans (1-1)- QB Deshaun Watson has a solid rookie debut and leads team to 13-9 win over Bengals. 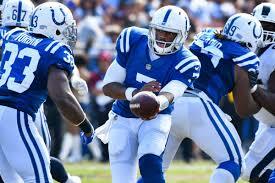 Indianapolis Colts (0-2)- No Luck for Indy means no win as Arizona takes the game in OT 16-13. Denver Broncos (2-0)- Broncos surprise Cowboys 42-17. 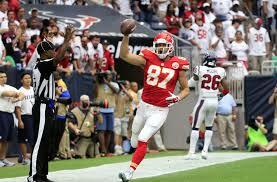 Kansas City Chiefs (2-0)- KC beats Pats in week one and Eagles in week two. Los Angeles Chargers (0-2)- The move to LA has not helped the Chargers as they lose their second game by three or fewer points. Our 2017 Week Two AFC Review ends with a quick consideration of the upcoming week. Team most likely to finally get their first win of 2017, the 0-2 Colts who play the 0-2 Browns. Team most likely to remain winless, the jets who play the Dolphins. Undefeated club most like to lose in the AFC would be the Raiders who visit the Redskins. Al Horford Boston Bound: Could Kevin Durant Be Next?